Art Loeb was a man who “deeply loved these mountains.” If you travel to the highest point on the trail bearing his namesake you will see a weathered plaque commemorating these words. 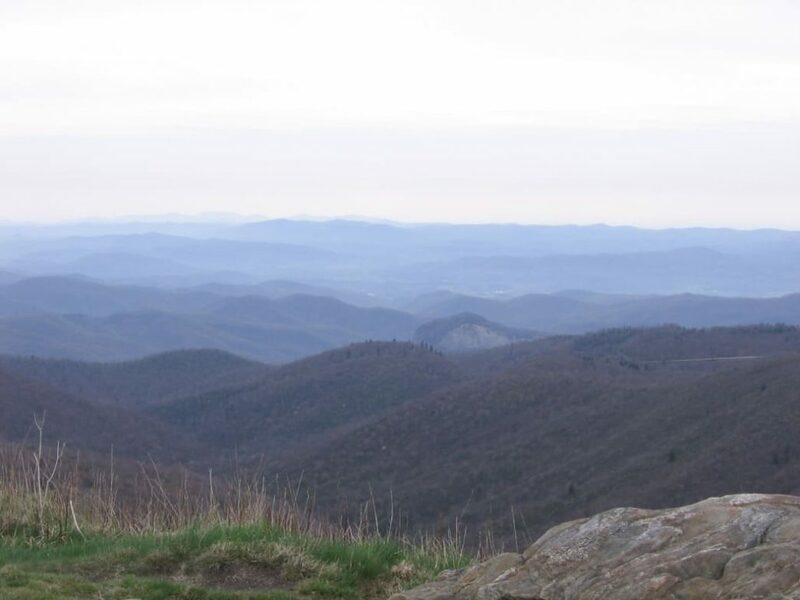 On a clear day, from this high point, you will also see picturesque, long-range Appalachian views in all directions. The 30.1-mile trail takes you through the wonders of the Pisgah National Forest before traversing the iconic crest of the Great Balsam Mountains to the crown jewel of the Shining Rock Wilderness. Easy access to both endpoints, multiple campsites, two shelters, plentiful water and epic views make the Art Loeb a must do on the life list of all Appalachian hikers. This acclaimed trail connects the Davidson River Campground in Brevard to Camp Daniel Boone in Haywood County, NC. The Pisgah National Forest divides the Art Loeb Trail into four sections. The trail’s southern terminus can be found off of highway 276 on the Davidson River Campground Access Road. The first section of trail begins here and takes you to Gloucester Gap. Highlights along this section of the trail include an up-close view of Cedar Rock and a shelter at Butter Gap. From Gloucester, Gap hikers begin their climb upwards towards the crest of the Pisgah Ledge. If you are a glutton for punishment you will enjoy every steep step up Pilot Mountain. Eventually, you will reach the top and a grand reward, paid with awe-inspiring views, lies on the narrow summit ridge of Pilot Mountain. After you descend the backside of Pilot rest your weary legs and quench your thirst at the Deep Gap shelter. The trail continues upwards, crosses the Blue Ridge Parkway, and ascends a series of steep switchbacks to finally gain the ridgeline, and briefly merge with the Mountains-to-Sea Trail. Once atop the ridgeline, a traverse along a pathway cut through a coniferous forest, which lines the airy edge of the Pisgah Ledge, leads hikers to Black Balsam Knob. Section 3, the reward for your massive uphill climb, starts here. A majestic chain of Appalachian Balds reveals itself atop the summit of Black Balsam. Your next 5 miles of trail will take you up and over a string of lush peaks with panoramic views in every direction. If your goal is a through hike we recommend a campsite within this section of trail. Chances are you will be rewarded with a heavenly sunrise or sunset, and a close-up view of starry skies. Shining Rock stands tall and shimmering at the end of this string of Balds. Quartzite cliffs on Shining Rock’s summit allow some incredibly fun scrambles onto exposed sections with long range views. Shining Rock gap has access to water and rhododendron-canopied campsites perfect for tents and hammocks. From Shining Rock the trail crosses a section known as “The Narrows” on its way to Deep Gap, another aptly named, Deep Gap in the ridgeline. At Deep Gap, a spur trail on your right leads to the summit of Cold Mountain, made famous by a book of the same name. The fourth section of trail (3.8 miles) descends steadily along the flanks of Cold Mountain towards the Camp Daniel Boone Boy Scout Camp and the northern terminus of The Art Loeb trail. Trailhead information and parking for a shuttle vehicle are available here as well as a lovely creek to cool off in after a completed thru-hike. Whether you are practicing for a longer trail or rekindling your love for backpacking The Art Loeb Trail is the perfect choice for a 3-4 day trip. Both trailheads are easily accessible and the Blue Ridge Parkway bisects the trail making for easy shuttle and resupply opportunities.